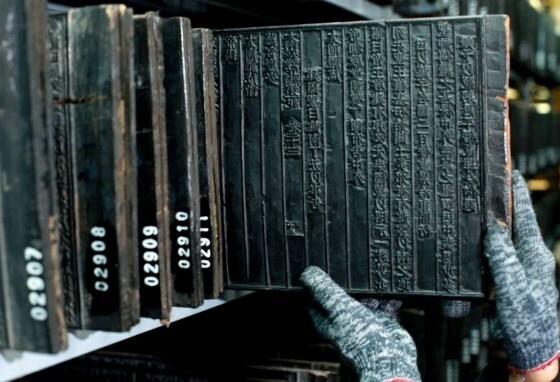 Hanoi (VNA) - Woodblocks from the Nguyen dynasty (1802-1945), which have been recognised as World Documentary Heritage by UNESCO, will be on display at Temple of Literature in Hanoi from August 26. The display is part of an exhibition themed “Access the World’s Documentary Heritage through the Nguyen Dynasty’s Documentary Heritage”. The exhibition will present three woodblocks of the Nguyen dynasty which helped to record official literature and history as well as classic and historical books. It will also present tens of woodblock printings, the Nguyen kings’ administrative documents, poems and parallel sentences carved on architectural building in the Hue Imperial City.